Founded in 1934, Bardstown, KY-based Heaven Hill Distilleries, Inc. is the nation’s largest independent, family-owned spirits producer and marketer and the world’s second largest holders of Kentucky Bourbon. Heaven Hill's diversified portfolio of brands includes The Christian Brothers Brandies; Evan Williams Kentucky Straight Bourbon Whiskey; HPNOTIQ Liqueur; Whaler's Rum; Burnett's Gin and Vodkas; Dubonnet Aperitif; PAMA Pomegranate Liqueur; and Água Luca Brazilian Rum Cachaça. Two Fingers Tequila is made from the blue agave plant that grows in the mountainous Los Altos region of Mexico’s Jalisco Province. The area is well-known for deep natural springs and the ideal climate for growing the biggest, most flavorful blue agave plants. The label carries the NOM – 1142 designation, which indicates that Two Fingers meets the Mexican government’s standard of quality tequila. 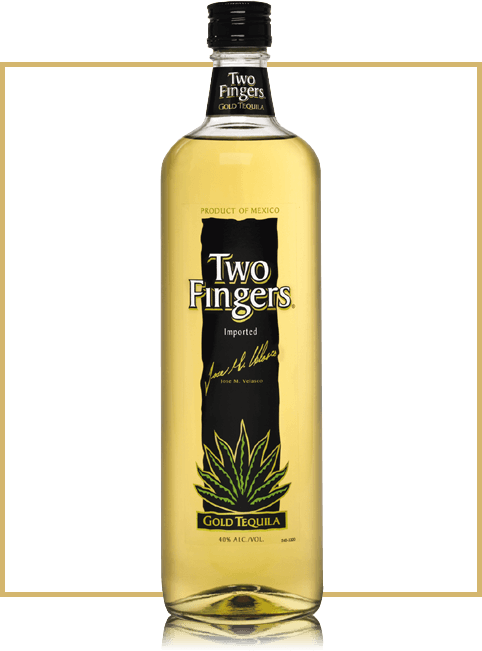 In its distinctive bottle, Two Fingers is available in both gold and silver varieties.